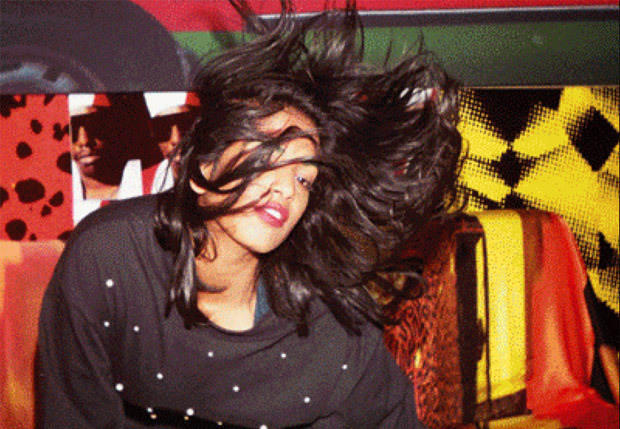 New York Times ran a profile on M.I.A a few days ago, the content of which infuriated the singer into tweeting writer Lynn Hirschberg's phone number. She also promised to post the unedited version of the interview on her website this weekend. If you skipped the 9-digital-page article, here's the lowdown. If Kadirgamar explained what the correct assessment of what happened in Sri Lanka is, that quote was not included, and nor are we told what was said in the “polarizing interview” that was a hindrance to justice. Tamil Tigers is an ethnicity-based militant group, as a result of which the Tamil population has been repeatedly targeted en masse by the armed forces, so it is not obvious to me how this does not constitute a genocide. When Sri Lanka's armed forces wiped out the Tamil Tiger leadership in May 2009, the UN estimated that more than 250,000 people were displaced from their homes in northern Sri Lanka, which is Tamil territory; an estimated 20,000 people marched in London in support of those affected. Was this in the way of justice, too? Hirschberg goes on to say, “…the video for 'Born Free' feels exploitative and hollow… As a meditation on prejudice and senseless persecution, the video is, at best, politically naïve.” She doesn't care to explain what this specific brand of political naiveté entails. [UPDATE: In an interview clip M.I.A posted, Lynn Hirschberg sympathetically says “Oh, I understand” after M.I.A explains she went to the Oscars to raise awareness about Tamil lives at risk]. “Thrives on conflict” means Hirschberg's got Maya figured out; the choice of words is there to serve this point: “She's a provocateur, and provocateurs want to be provocative”; which is what Hirschberg said in response to the phone number leak. Oh, you mean like Stravinsky who said the role of an artist is to challenge the audience into breaking their mind from a conservative cycle of familiarity? A much simpler analysis of the phone number leak would've been: “She is angry, she's an active twitter user, and twitter provides instant gratification. She probably reacted instantly and didn't have time to meditate”. And of course, “the truffle-flavored French fry” exists to provide a juxtaposition. [UPDATE: In an interview clip M.I.A posted, it's revealed that Lynn Hirschberg is the one who bought M.I.A the truffle french fries, paid for by New York Times]. What bugs me, though, is that there is no relation between the quote and the conclusion: how does not wanting to make the same music about the same stuff, and wanting to remain an outsider, suggest, in any way, that unity has no allure? Isn't it the nature of an artist to “thrive on conflict” since conflict is much more tightly knitted into the truthfulness of life than unity is? “Thrive”, of course, is teeming with connotations — conflict is precisely what provides fodder to artists, and “thrive” suggests that she needs it. Nobody ever wrote a masterpiece because he was just ecstatic about the way the world works (outside of children books). And isn't it the view from the outside where intellectualism thrives? As honest and harmless as the lawyer's statement is, that dilemma is a universal dilemma. The burden that Hirschberg has unloaded onto a feisty pop star's shoulders just happens to be the whole freaking world's burden. 1. “nearly impossible to achieve” — like not worth trying? 3. “luxe lifestyle” — like the owners of New York Times? 4. “remain controversial” — sounds so much more vain than “continue to provoke” doesn't it? 5. “for style to merge with substance” — that's right, how can style ever merge with substance? “Her father could not be reached for comment”. You don't say! Wasn't there anyone else she could reach to dig into this topic? Hirschberg wants you to look at the mirror and ask yourself: Is M.I.A, who thrives on conflict, making a joke of Sri Lankan politics? Interactive designer and co-founder of The Short Form.